After putting in a little work by prepping my wardrobe, I feel ready and raring to dive into a whole new season of style. It's my favourite time of year; with the contrast between cool breezes and warm sunshine, I feel I can really play with the fit, shape, and style of my clothing choices. It's a fun season in so many ways! After a few missteps last year I'm focused on building a minimalist wardrobe that looks good and works hard. 2. What will I be doing (activities wise) this season? 3. What is my budget for buying new pieces? 4. What’s already on my wishlist? 5. What did I wish I owned last year? 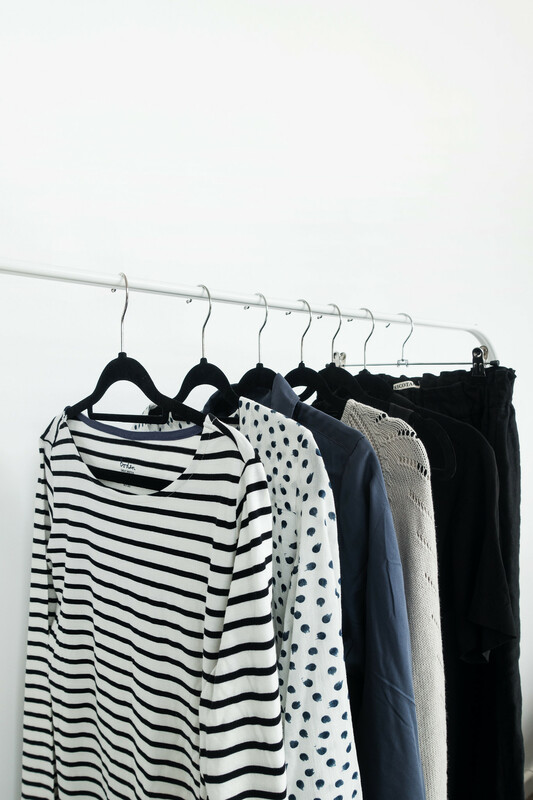 If you’re interested in reading about how to plan your wardrobe in more detail, I wrote a post about starting a minimalist spring wardrobe. I mostly understand what I enjoy wearing, what outfits I feel comfortable in, and which pieces to avoid. However, spring and summer are tough for me because I enjoy layering and my all black outfits can sometimes feel out of place. I started a new Pinterest account for this blog with related styling boards to help plan for the upcoming seasonal changes. Pinterest really helps me to identify the finer details of why I enjoy wearing certain outfits; pinning helps identify the colours I’m drawn to so I can start pushing the boundaries of my wardrobe’s colour palette. Using my Spring/Summer styling board, I have identified a short list of pieces I feel my wardrobe is missing and could help make the transition into a new, warmer season much more comfortable. One tip I recommend everyone does when wardrobe planning: pull out each piece you think you’re likely to wear over the season; try them on and create different outfits. See what works and what doesn’t. This will give you a good idea of where your current wardrobe stands helping you to identify the missing pieces. I find doing this gets me excited about the pieces I own already and styling new outfits for the upcoming season; it’s a good pick-me-up and will give you a boost if you’re feeling a lacklustre about your style. How have I gone so long without owning one of these? It’s a wardrobe staple and I’ve definitely been missing out. 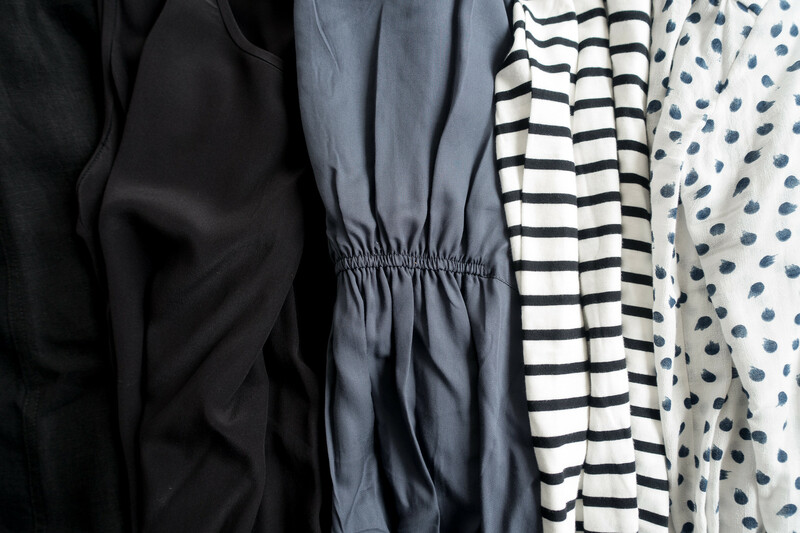 Adding a breton top into the mix will ‘unlock’ some existing pieces in my wardrobe, pieces I don’t wear as much as I should because I lack versatility. 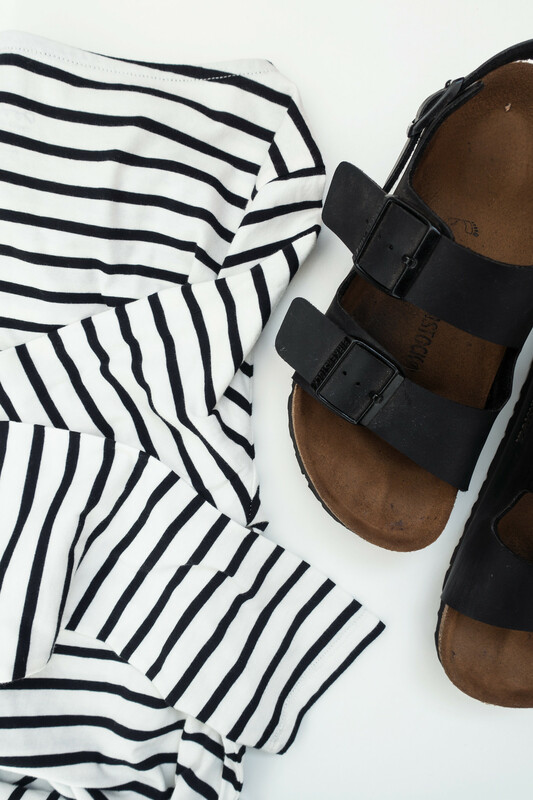 I’ve already purchased the Boden Long Sleeve Short Line Breton Top and have an Everlane Cotton Long Sleeve Crew Top (purchased with credit) on its way. 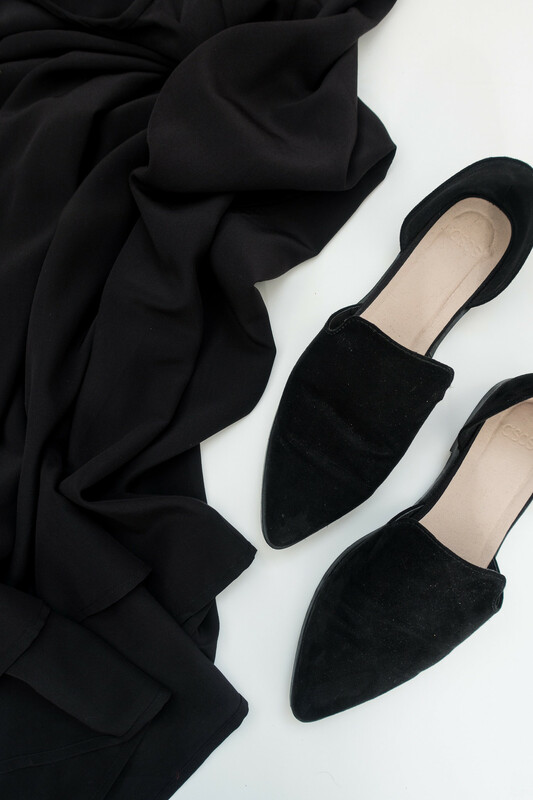 Slightly different in style and chosen with a specific fit in mind, these will slot in nicely with my existing wardrobe providing a little extra versatility when it comes to styling choices. With the warmer weather in mind, I find I’m much more comfortable in longer dresses. I already own one floaty sleeveless maxi dress and I’m on the hunt for another made from better material. This is the kind of piece I know I will wear over and over, it’s just finding the right one that’s proving to be a struggle. I have yet to find a maxi dress I’m willing to pull the trigger on just yet. I was gifted a beautiful Thought Tanami Maxi Dress; the fit on me means it works better styled like this and to make that happen it requires a little tailoring. I also added an Everlane Tank Dress (purchased through slowre) which has become a staple; great for layering but hits just above the knee making it a little short for me to feel comfortable without tights. So I’m still looking for that perfect black maxi! My wardrobe has been sorely missing a basic goes-with-everything skirt for the longest time. Finding the perfect fit for my shape, made from quality breathable material that hits me at the right length has proven to be a struggle. I’d almost given up. I took the plunge and ordered the Tricotage Ella Skirt. This is the piece I am most excited to have added to my wardrobe. With its high elasticated waist, midi length, and oversized side and back pockets this is the dream skirt I’ve been waiting for. Made from linen it’s breathable making it the ideal piece for spring/summer, and the style and fit makes it perfect in autumn/winter too. Win/win! The trouble here is I’m not entirely convinced of what I need. I know I could do with a couple of looser fitting tops to pair with skirts, layer over dresses, and to wear with leggings. I’m looking for something basic yet smart, relaxed yet styled. It’s probably better I hold off on making any purchases until I’m absolutely certain I know what I need. Recently I added the Thought Marcel Blouse to my wardrobe, I love the fit and pop of colour. It’s the ideal piece for pairing with my sleeveless Everlane Tank Dress but it’s neither loose nor floaty enough for pairing with leggings. It’s tempting me to opt for something other than black, perhaps a blush or steel shade. An odd one for spring perhaps; for someone who never wears trousers, leggings are are a failsafe choice. I’ve become tired of buying leggings with see through fabric that wrinkles at the ankles because they’re too long, and finding they can’t stand up to the pressure of everyday wear. I wanted to find a pair that fit perfectly and looked smart so I’d be happy to wear them when running errands. When it comes to leggings, if you’re looking for durability you’re better off buying yoga leggings; they’re made with ample stretch for extra movement and reinforced panels meaning they can stand up to heavy-duty wear. I ended up investing in a pair of made to order Gossypium Power Leggings. You can choose the colour, size, and leg length, which results in the perfect fit. I couldn’t be happier with mine.